'Welcome Home' to this fabulous 4 Bedroom, 3 1/2 Bath Traditional Two-Story Walkout situated on a private part-wooded 1 Acre Lot on a Cul-de-sac! This lovely one owner home exudes pride of ownership throughout & is immaculately maintained. Featuring Hardwood floors, Granite Countertops, lovely Neutral Decor, large Deck, gorgeous Landscaping & even a Basketball Court! Mud Room & main floor Laundry, main floor Office w/French Doors, Kitchen w/Snack Bar & granite counters open to Dining Area and a large Living Room w/Hardwood floors. Upstairs to 3 nice sized Bedrooms, full Bath & a private Master Suite w/private Bath & a walk-in closet. Lower walkout level has a Family Room w/Built-ins, Rec Room w/Bar & 3rd full Bath. 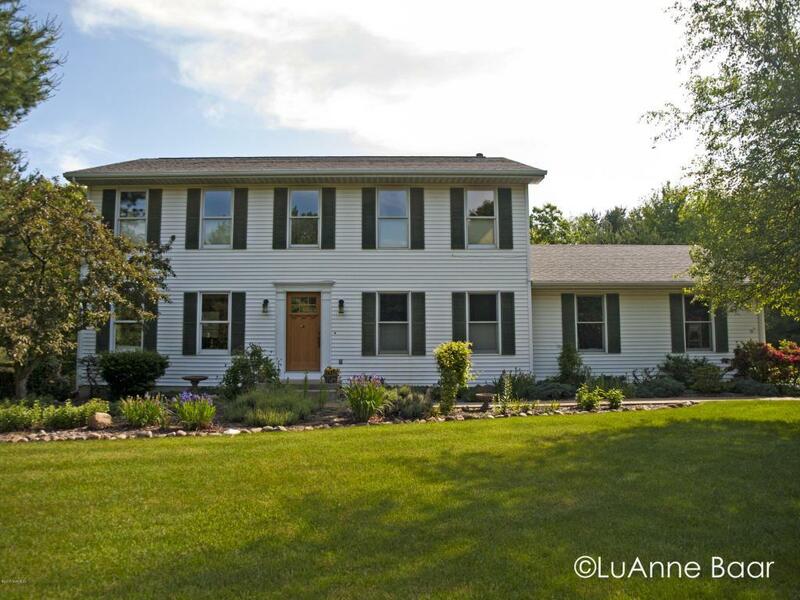 This Rockford home is a true gem - hurry!